One of the best ways to spend time on your trip to Corolla and the Outer Banks is on the water. Some of the different activities include parasailing, stand up paddle boarding, jet ski rentals, boat rentals and so much more. Also be sure to take a sunset cruise around the currituck sound and you can do the trip solo or have a captain provided so you can relax and enjoy. 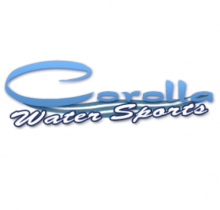 Take a look at some of our recommended Outer Banks water sport rentals and lessons companies, or give us a call and we can help you find exactly what you are looking for.